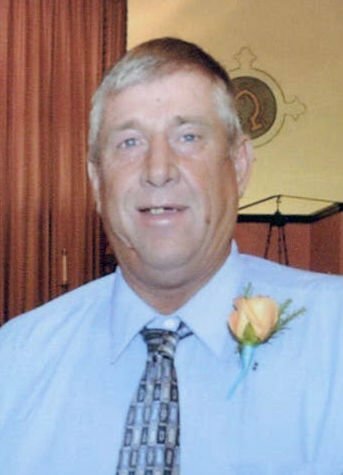 Dennis Gene Deppe, 61, of Preston, Iowa, passed away Sunday, April 7, 2019, at home in the care of his loving family. A funeral Mass was held 10:30 a.m. Thursday, April 11, at St. Joseph Catholic Church, Preston, with Father Austin Wilker as celebrant. Burial was in St. Joseph Catholic Cemetery, Preston. Visitation was held 4-7 p.m. Wednesday, April 10, at Law-Jones Funeral Home, Preston, with a scripture wake service held at 3:30 p.m. Friends and family are invited to share in Dennis’ life at www.lawjonesfuneralhome.com. Dennis was born Sept. 12, 1957, in Maquoketa, the son of Kenneth and Leanna (Schaefer) Deppe. He grew up on the family farm near Spragueville, where he began his love of the outdoors. Dennis is a 1976 graduate of the Preston High School. He worked in scrap-metal recycling for H.M. Enterprise for many years as well as United Auction Center. When he was younger he also worked building grain bins for Tom and Kevin Grain Bins in Spragueville. Dennis was a member of St. Joseph Catholic Church, Preston. Dennis will be dearly missed by his mother, Leanna Deppe of Preston; his three sisters, Susan (Larry) Ties of Bellevue, Linda (Bart) Lund of Wilton, and Laurie Krause and fiancé Paul Kraklio of Durant; seven nieces and nephews, Joanna (Jason) Johnston, Allison (Tim) Donovan, Cheralyn (Dan) Willey, Koby Lund, Kyle Lund, James Krause and Jenna Krause; and five great nieces and nephews, Justin, Junyssa, Zoie, Cambrie and Weston. Dennis was preceded in death by his father, Kenneth, in 2000.